The NBA Trade Deadline may have been underwhelming for Houston fans, but the Rockets still have another way to add a key player this season. 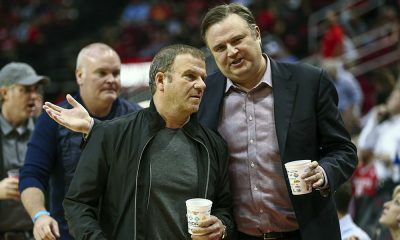 The NBA trade deadline came and went, and the Rockets remained fairly quiet… by Daryl Morey‘s standards. 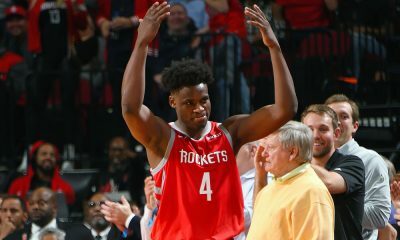 The Rockets GM, who has made a trade deadline deal in each year of his tenure with Houston, pulled off a single, relatively minor trade, sending third-string point guard Aaron Brooks to the Denver Nuggets in exchange for young swingman Jordan Hamilton. The good news, for those who remain “unfulfilled” by the Rockets’ trade deadline maneuvers, is that Houston still holds a key advantage over (most) other NBA teams. 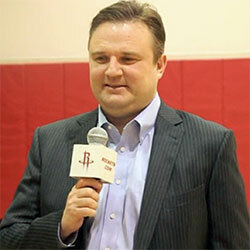 The Rockets still have their Room Mid-Level Exception available. The Room Mid-Level Exception (or Room MLE) is a salary cap exception that allows teams that opted for the use of their cap space — and waived their rights to most other salary cap exceptions to do so — to have an additional means of adding players for more than the veteran’s minimum salary. The amount of the Room MLE this season is $2,652,000. That amount began to prorate on January 10, reducing in value by $15,600 each day after that. 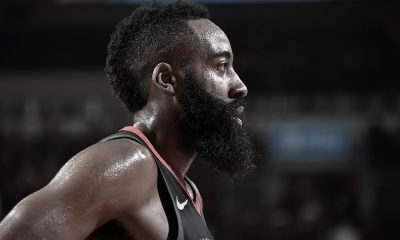 It is likely that the Rockets will be scouring the waiver wire for quality veterans who get bought out in order to save their teams some salary and to give the veteran a chance to latch on with a contender for a playoff run. “Waiver wire season” tends to run from now until March 1, the deadline by which a player must be waived in order to be eligible for another team’s playoff roster. The value of the Room MLE on March 1: Nearly $1.9 million. Of the other NBA teams that one would consider legitimate threats for a deep playoff run, only the Miami Heat and the Oklahoma City Thunder — both still armed with their full Taxpayer Mid-Level Exception (at a prorated amount of about $2.2 million as of March 1) — can offer more money to free agents. However, Miami is well over the luxury tax threshold, and any new players will come with a tax bill of an additional 150-175% of that player’s salary. 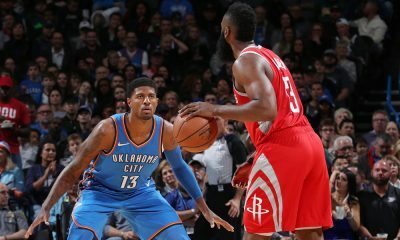 In the case of Oklahoma City, the Thunder may be able to outbid the Rockets if they were in direct competition; but they are starting to run up against the luxury tax threshold themselves. A quality veteran’s decision would likely come down to the opportunity for playing time. 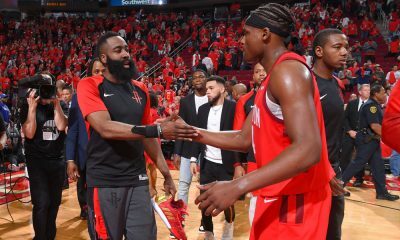 While the addition of Hamilton — and a probable call-up of Isaiah Canaan — is perhaps not enough to satisfy many Rockets fans’ thirst for “the shiny, new object” over which to pine, don’t overlook the continuing availability of that Room MLE. It could be the key to adding one more key piece to the puzzle this season.